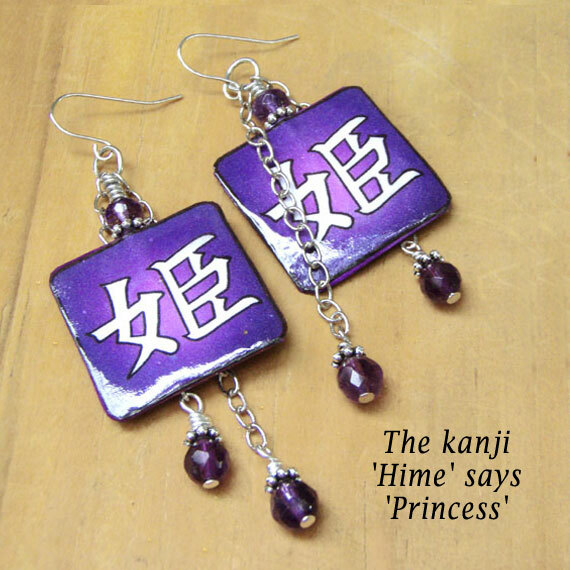 These pretty purple paper earrings (say that three times!) 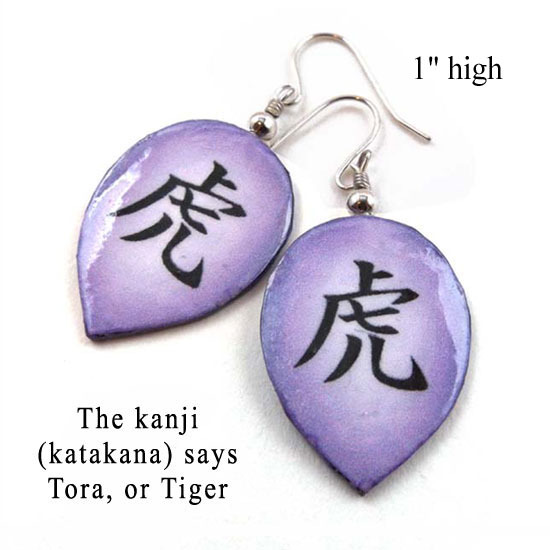 have the Japanese kanji, or more properly katakana, that says Tora – which means Tiger. 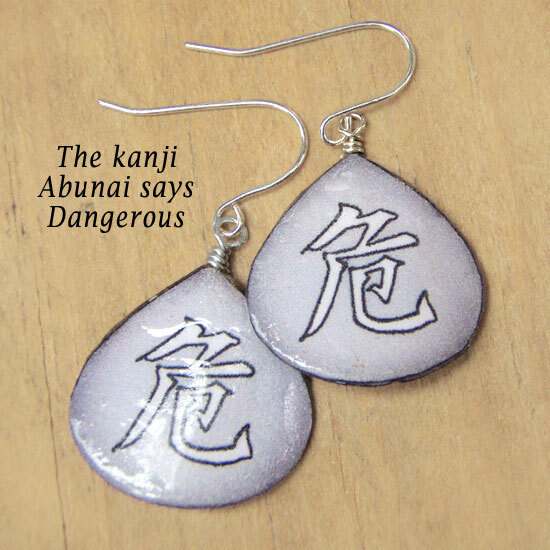 I’m not sure why, but I just love this kanji. It’s very graceful. Or maybe it’s just that I am very fond of the big cats. Maybe it’s because I find it interesting that “Tora Tora Tora” was a sort of rallying cry for Japanese soldiers, or at least the kamikaze, during World War II. And yes I know we (Americans) were on the other side, but by now we can admit that soldiers are soldiers, usually honorable, usually doing the best they can for their country and their officers. It’s the higher ups that are usually messed up – not the grunts. Letting your mom know that you realize that she *has* dreams is a gift in it self – that you recognize her as a person with hopes, fears, and dreams – that’s a major deal. These pretty little earrings are just the icing on the cake, since there are other gifts you can get like collars or a diamond ring which you can find at sites like randor.com and others. Of course custom colors are available. 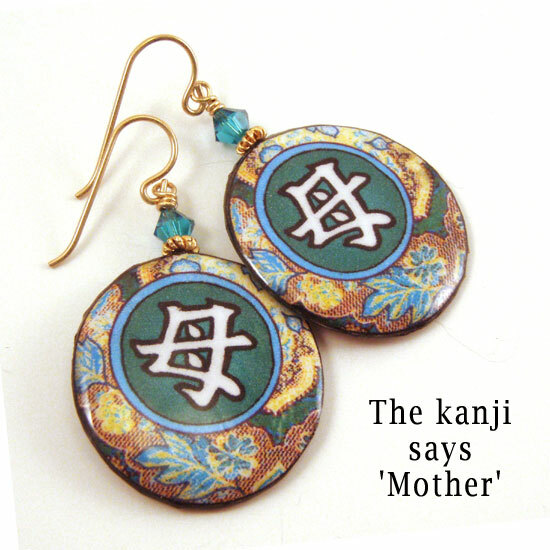 Custom kanji, too – but I do think it’s nice to tell your Mom know that you know that she dreams. That she’s a person. That you value her as a person. 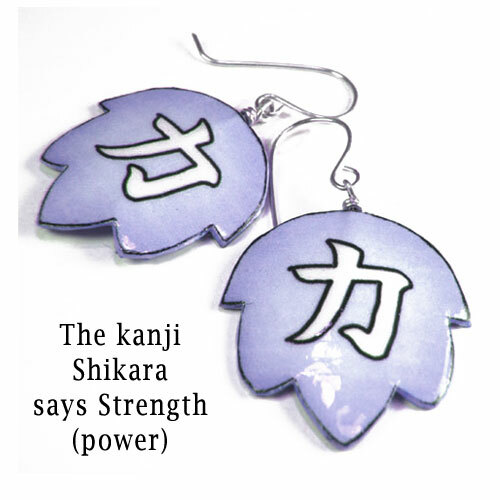 The Japanese katakana (kanji) here says “shikara” has the context of strength – or power, which is a pretty interesting connotation. 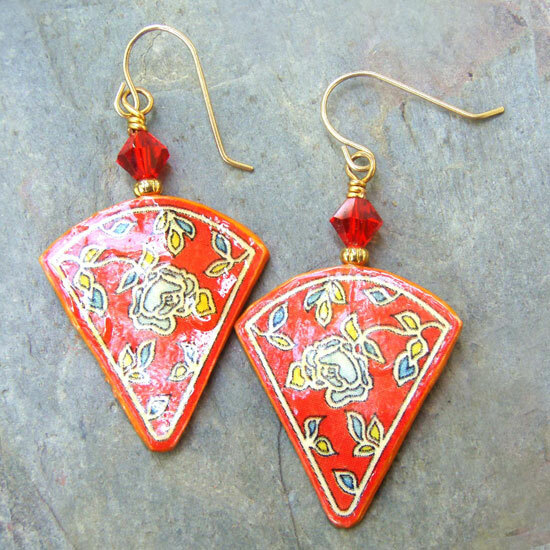 And not that this is a suggestion or anything, just as an idea – paper earrings are great for the first year, or paper, anniversary. And if your wife is a new mom, well, “Mom” really DOES equal strength and power. As shown here, they’re about 1-1/4″ high, though I’ve almost made them quite a bit smaller (about 3/4″) – and one time, almost 3″ high! 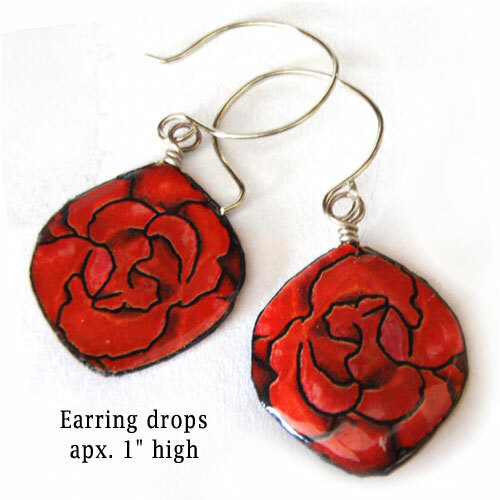 The customer wanted big lightweight earrings, and she loved that she could wear them all day in comfort. They’re just over 1″ long (big enough to have some presence, but still delicate and of course lightweight). 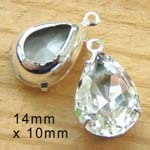 And the little Swarovski crystal elements (accent beads) add just a bit of sparkle. They’re girly, when you’re in that sort of mood. And – just saying – they are wonderful first anniverary gifts. You know: if you’re looking. 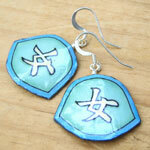 And yes, you have probably guessed that they are a popular gift choice. 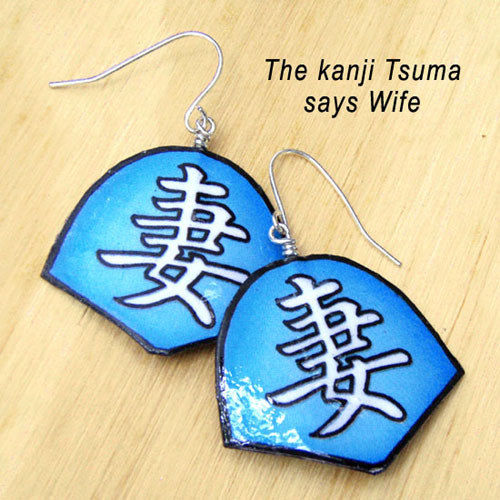 I mean, if it was your paper (first) anniversary, and you had to find a paper present, and you know your wife likes jewelry, wouldn’t “Wife” be a cool pair of earrings for her? So when you’re wearing these pretty (comfortable!) 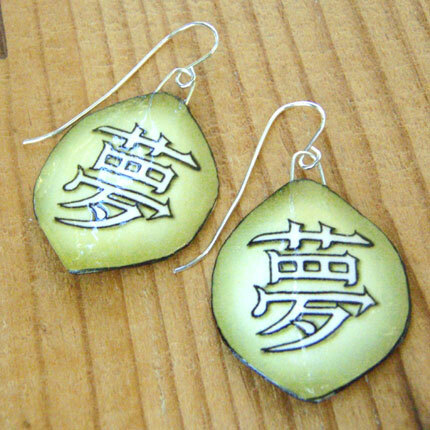 earrings with your light yellow cashmere sweater and light gray pencil skirt – or white tank top and scuffy jeans – and somebody says hey, what do your earrings say? You can smile, and tell them. Or not. But hey, just for fun? These were made as a special request for a customer – and I think they turned out well! 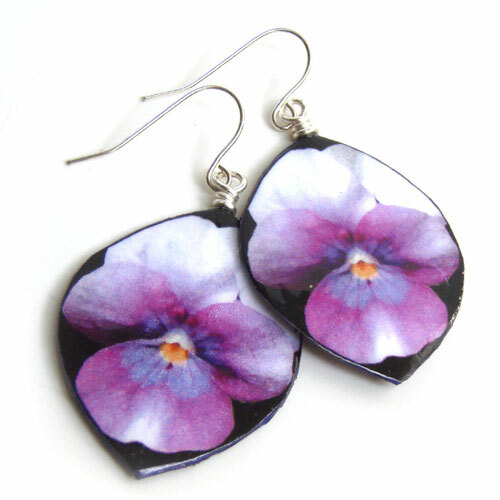 Shown here in purple but of course we can make them in your colors too! Like all Paper Jewels they’re lightweight – so they’re comfy. I don’t know about you but that matters to me! Of course they can be special ordered in custom colors (and can be made smaller or larger) – though I do have to say, people have been very receptive to this blue zircon, green and golden combo. And of course, Mother’s Day holiday is coming. Just sayin!